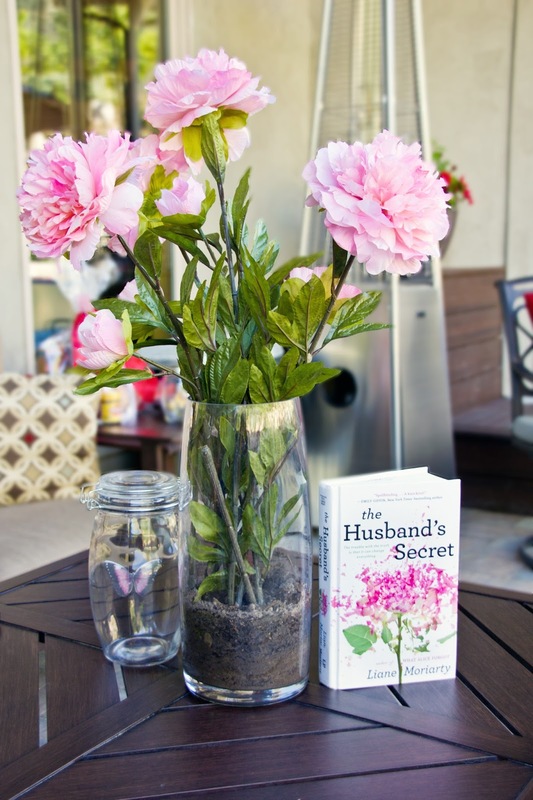 Welcome to Part II of our meeting for THE HUSBANDS SECRET where you will find everything you need to host the perfect book club for this book! After we finished eating our delicious Australian BBQ dinner (which can be seen in Part I of this post) we settled in our seats to see what our Moderator Kellie had in store for our discussion. to be opened only in the event of this discussion." Inside each letter was a different discussion question for us to read and gossip about as a group. GENIUS! 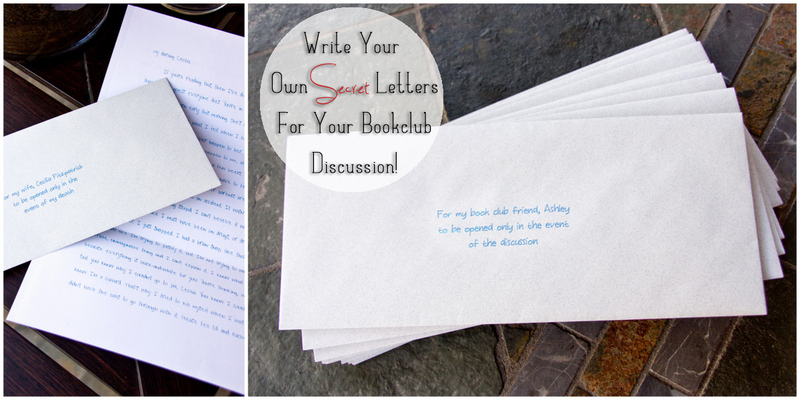 If you would like to print off the letters/discussion questions for your book club then you can do so HERE! Before we started our discussion, Kellie had a unique game planned inspired by the book character Tess, who seemed to have anything and everything you could ever want in her purse! Kellie had everyone grab their purses and she asked people to pull out random items and who ever did it first got a point. 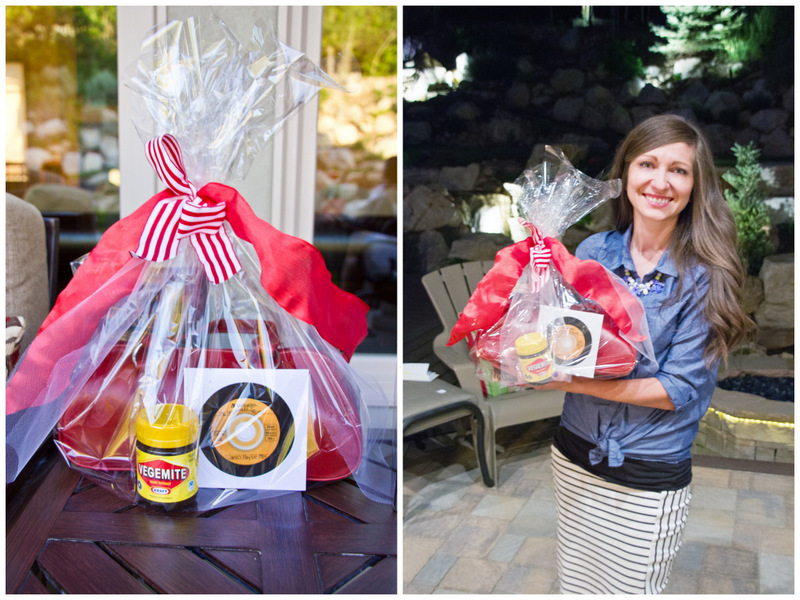 Some of the items requested were: nail polish, a pen, hair brush, socks, Costco Card etc. It was hilarious to see who had what in their purses! You can download the Purse Game HERE. After the game we all opened our letters and began our discussion. 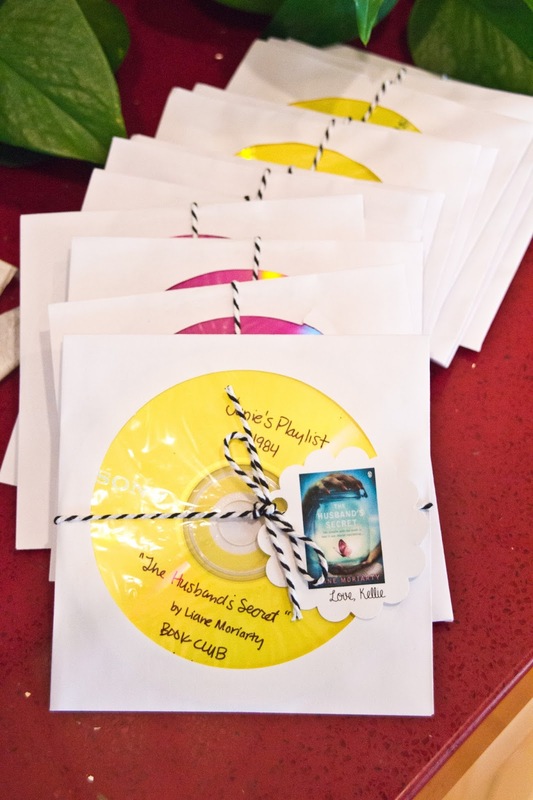 Kellie put together a Powerpoint for the Husbands Secret that can be used for your book club meeting or you can just read up on the author and many other interesting tid bits from the book. 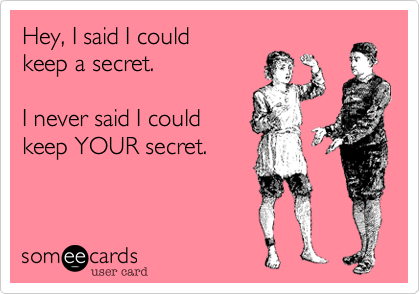 You can find the Powerpoint for The Husbands Secret HERE. Kellie also created a wonderful SPOILER FREE character list to help keep who's who straight in the book which can be found HERE. We were STILL talking about this book even after we had concluded and people were heading home! 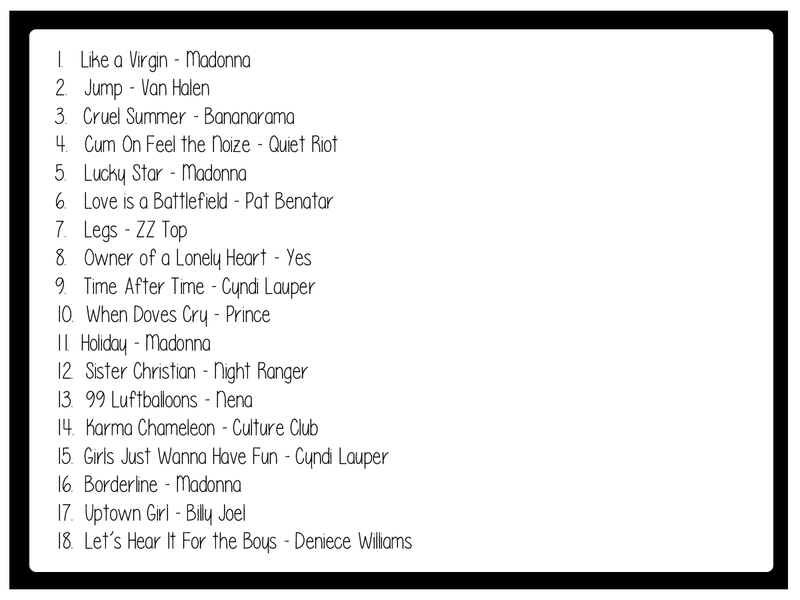 Kellie sent each of us home with an 80's Playlist she put together inspired by the music that Janie listened to that was briefly mentioned in the book. Kellie had this playing in the background while we ate and I can tell you that most of us were tapping our toes and singing along! The Husbands Secret made for such a great night of eating, chatting, discussing this great book and having loads of fun! 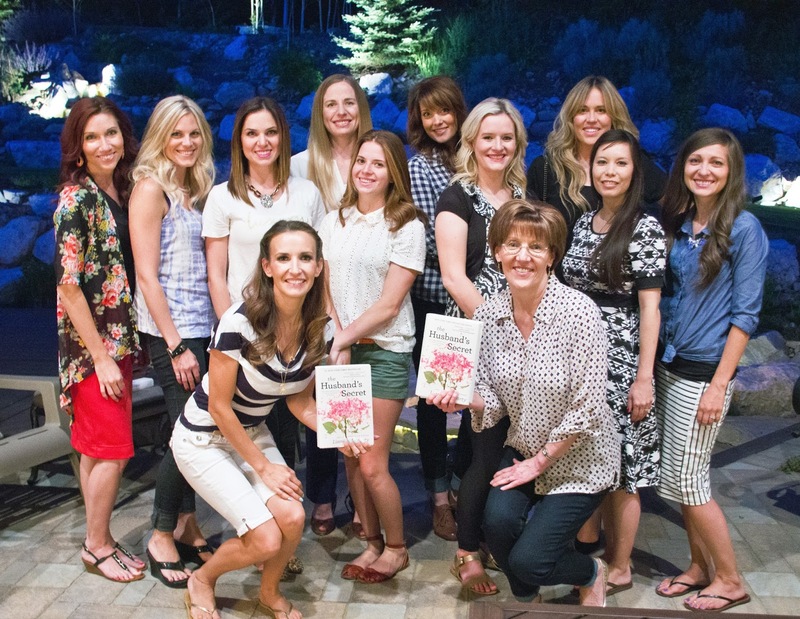 I would recommend this book to any book club or friend and I'd love to hear what you thought of this book in the comments!